Well Mr. Clemens said it better than anyone else, this totally encompasses the way I’m feeling right now. We had a glimpse of spring here in the Rockies this weekend, but now were back to grey skies and if the weather dudes are right a week of spring storms. 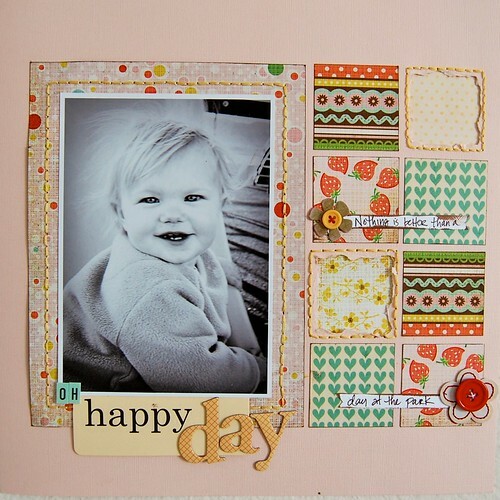 So what’s a girl to do, dig through her stash of unblogged layouts and find something cheerful. at least I don’t think I’ve shared this one before…maybe I should check, or maybe not I think it’s cute enough to have a double dose.